WASHINGTON — Veterans Affairs officials announced late last week that a full roll out of the White House VA Hotline won’t happen for another two months, as officials continue to work through staffing and operations issues. But the delay isn’t the only challenge facing the still-new call center, which has yet to fully resemble the service President Donald Trump promised on the campaign trail last year. The system is being run by VA employees, not White House staffers, despite Trump’s own pledges that the hotline would be a way for veterans to directly voice their complaints to the Oval Office. White House officials have directed all questions on hiring and operations of the hotline to department officials. In a statement, Shulkin said the move will mean the around-the-clock operators won’t be available until early October, but added the delay is worthwhile. A VA spokesman said in the first seven weeks of the hotline, operators answered 8,249 calls. The majority were complaints about department operations and benefits, not compliments. Of that group, officials determined that almost half — 3,754 — were “policy comments, feedback or general inquiries” that did not require a response from the administration. Another 3,130 did receive some sort of resolution, and the remaining 1,365 cases were still under review at the start of August. But the full process for counting a call as “resolved” remains unsettled. Thomas Fant, a 45-year-old disabled Coast Guard veteran, contacted the hotline in late June with a pair of complaints about a medical appointment issue and an ongoing travel reimbursement dispute. Both times, his complaint was passed on to regional VA staffers. In the first case, he received assurances that new appointment scheduling training would address his complaints about receiving appointment changes through the mail. In the second, local officials still could not explain why his multi-year fight to correct travel payouts remained in dispute. When he called the VA hotline back a month later, an operator told him his initial complaint had been marked down as “resolved” despite the lingering reimbursement issue. “The spirit of the hotline was great, but it seems ill-conceived the way it was rolled out,” Fant said. “My impression is it turned out to be another layer of bureaucracy instead of simplifying things. VA officials are overseeing all hiring and staffing issues related to the line, calling into question whether White House staff has any responsibilities with the hotline. But White House officials have included the creation of the new phone line as one of their key promises kept from the campaign. White House officials have confirmed that the hotline for now is based out of VA headquarters, and that veterans who call the White House’s switchboard with VA questions are transferred directly to the new hotline. Meanwhile, VA already has multiple other call lines for veterans seeking information, including ones dedicated to benefits questions (800-827-1000), online accounts problems (800-983-0937), burial eligibility (800-535-1117), and health care services (877-222-8387). Democrats on Capitol Hill have questioned whether the new hotline adds any real value for veterans, or is simply using up staff and funds that would be better spent elsewhere. 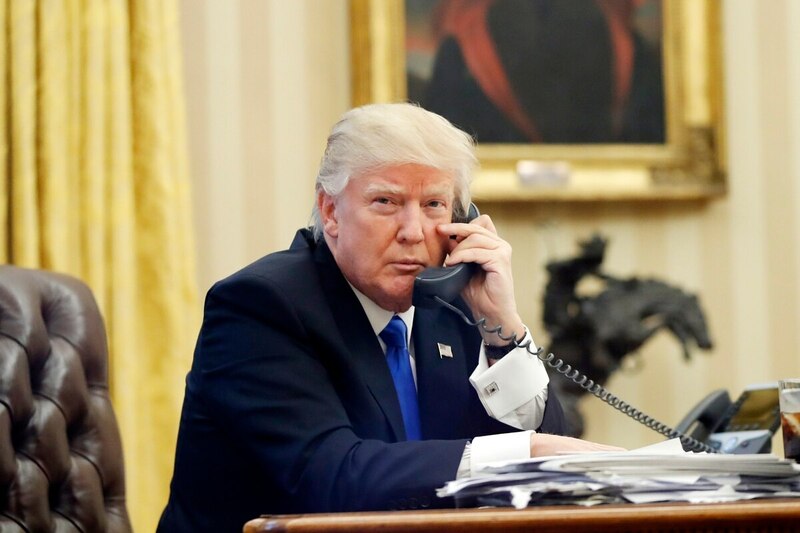 So far, operating the new White House/VA hotline has totaled more than $200,000, with a pricetag of about $5,700 a month for recurring access and maintenance costs. VA officials did not say how much hiring and training the new operators will cost, or whether that spending total is expected to rise significantly.